In 1957 Jack McCracken, a former Principal from Buncombe County NC, founded Tarmac Audio Visual – – the “Tar” comes from the Tarheel State North Carolina and the “Mac” comes from the McCracken family name. ( In the late fifties this seemed to be the thing to do.). Our office for the first 35 years was at 71 North Market Street in Asheville NC, just across from the Thomas Wolfe House. Jack believed that a well-trained teacher with good technology, when used appropriately, could have a much greater and positive effect on many more students than could a teacher alone. 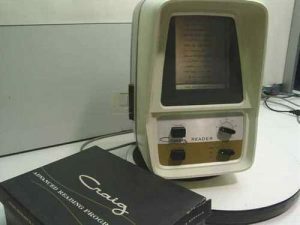 This philosophy has continued with us through the present.Beginning in the mid-sixties, we began concentrating on the use of projectors and audio tape programs to enhance reading skills. As technology changed, these programs grew into computer software. Over the past six decades we have represented countless publishers, manufactures as well as publishing and manufacturing our own educational programs, tools and reading lab furniture. We wish that Jack had lived long enough to see the most recent and fourth Online version of Reading Plus. 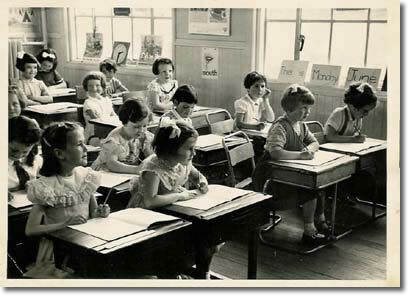 In those days, the ability to meet each student’s individual reading needs in each lesson was not even in our dreams. During our 60 year history, Tarmac has led all technology suppliers by providing staff development and follow-up on all products distributed to schools. Support has been enhanced to include Onsite staff development, Online staff development and telephone, online and onsite technical support. Tarmac has been in the educational technology sales, marketing and training business since 1957. There have been constant and evermore rapid changes in educational technology. Our company has followed the paradigm shift of educational technology for that time period. Our history reads like a book on ed-tech. We have represented an uncountable number of publishers and manufacturers. 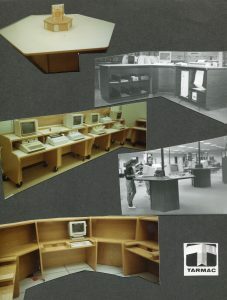 We have manufactured, printed and published educational materials and manufactured computer and reading lab furniture. At this point in our business we represent software publishers as independent sales and marketing for specific areas. For over 60 years Tarmac Educational Services has helped educators implement programs that benefit students by providing individualized assessments and prescriptive educational plans. 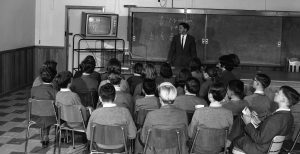 In 1957, Jack McCracken, a School Principal, founded TARMAC (derived from the ‘tar’ in Tarheel and the ‘Mac’ from McCracken), when he realized that technology had the potential of enhancing the teaching and learning process. He founded Tarmac Audio/Visual Company in Asheville North Carolina. 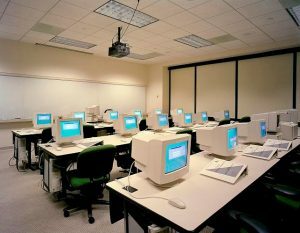 With technology including Overhead projectors, and filmstrip projectors, and innovations being rapidly released, the need for additional targeted staff development was seen as critical. Tarmac began providing training on the use of technology and has continued to be a leader in individualized instruction and staff development. With the passage of federal funding through ESEA Title I and Title II, there was funds to purchase new and innovative tools to enhance education. Projectors with Basic Sight Word filmstrips and Sight word film strips gave educators new options. For silent fluency development, filmstrips were developed that moved the print left to right. 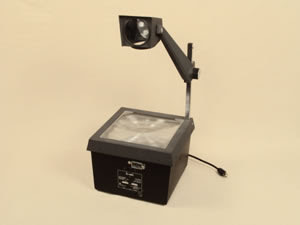 Tarmac offered classes on the proper usage of overhead projectors. To add audio components to the visual content being delivered on projectors, Tarmac enhanced instruction with the 3M Language Master and the Craig Reader. Seeing a need, the Tarmac Reading Inventory was developed and published by Tarmac to provide testing to assist individualized instruction. During time the term Behavioral Objectives were introduced and Tarmac marketed the Fountain Valley Teacher Support System, an evaluation program that tested and managed specific skills in a continuum. An auditory instructional component was needed to reinforce skills, Tarmac developed and published IT, an individualized skills based Teaching program with audio cassettes providing reading reinforcement. Later Tarmac published the Individualized Skill Drill Mathematics Series also delivered on cassette. Also a program for older students, Math Skills for Daily Living. Tarmac’s furniture factory built and installed the study carrels and hexagonal carrels to accommodate students while using the individualized visual and auditory programs to enhance their reading and mathematics skills. Later the furniture factory was given to the employees. Employing this technology, during these years Burlington, NC, Pender County NC, Portsmouth, VA, Henrico County VA and Wood County WV were designated as Nationally Validated School Systems by the US Office of Education. 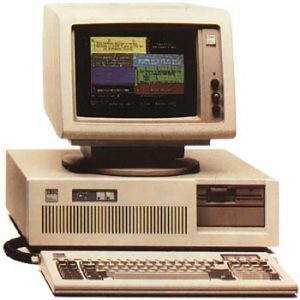 Educational technology began migrating from older technology to Apple I, II, and MS-DOS computers. US Office of Education Validated Mathematics Laser Disk programs were popular since they provided added instruction and reinforcement. West Pender Middle school’s staff installed a DOS computer lab and began using the MS-DOS version of programs during a summer program that were previously delivered on projectors. Most software programs were small stand-alone programs. Tarmac was Scholastic’s #1 dealer. Scholastic purchased a Tarmac published booklet. “A Guide for Better Reading.” In the mid-1990s, silent reading fluency development migrated to MS-DOS computer programs. Reading Plus was introduced during this time. This new system provided fluency in silent reading development, vocabulary improvement through contextual analysis, decoding practice, extensive reading, and comprehension enhancement. 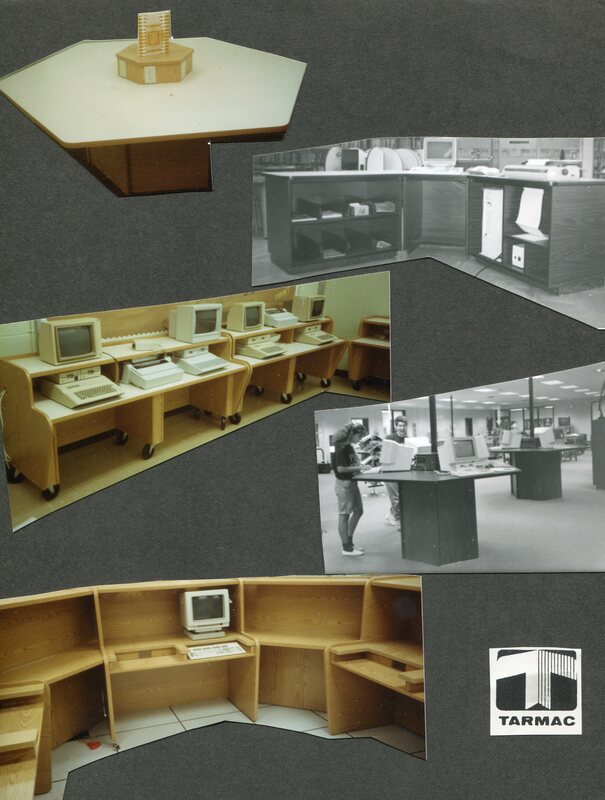 Technology for education began developing quickly, Online plus LAN/WAN. (loaded on the school’s /district’s file servers,) became available for schools to use. In early 2003, Mark Taylor developed a web-based version of Reading Plus. The new version offered the potential for online delivery as well as LAN and WAN use options. During the same year Visagraph III, designed by Taylor Associates, became an integral diagnostic component of the Reading Plus program. Improvements in technology allowed programs to be delivered Online, anywhere on desktops, laptops, and handheld computers without additional uploads or downloads. Parkland High School in Winston Salem effectively implemented the software programs and was named “A Model High School.” By the USOE. © Copyright 2019 Tarmac Educational Services, Inc. Preschool and Kindergarten by Rara Theme. Powered by WordPress.